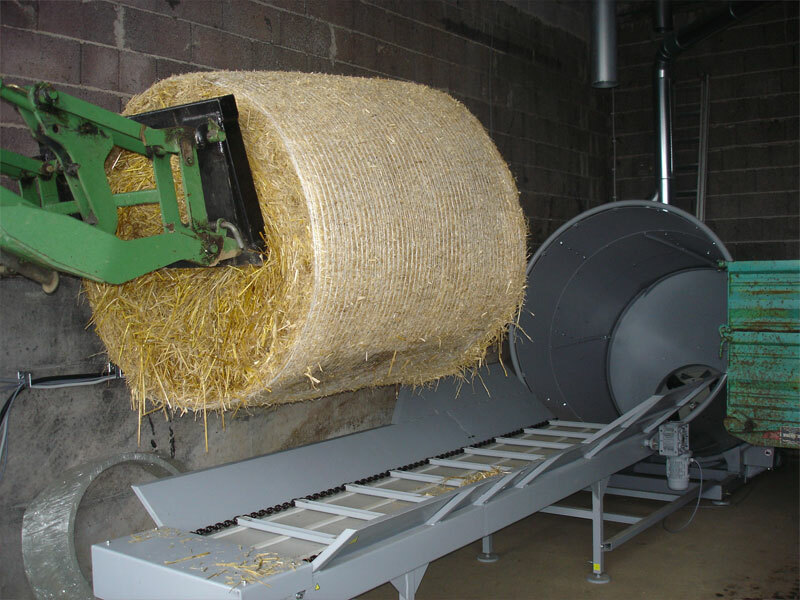 The extremely efficient bale-shredder MUZ is designed to chop round and square bales out of straw, miscanthus and hay. The machine is characterized by a heavy construction and high output. 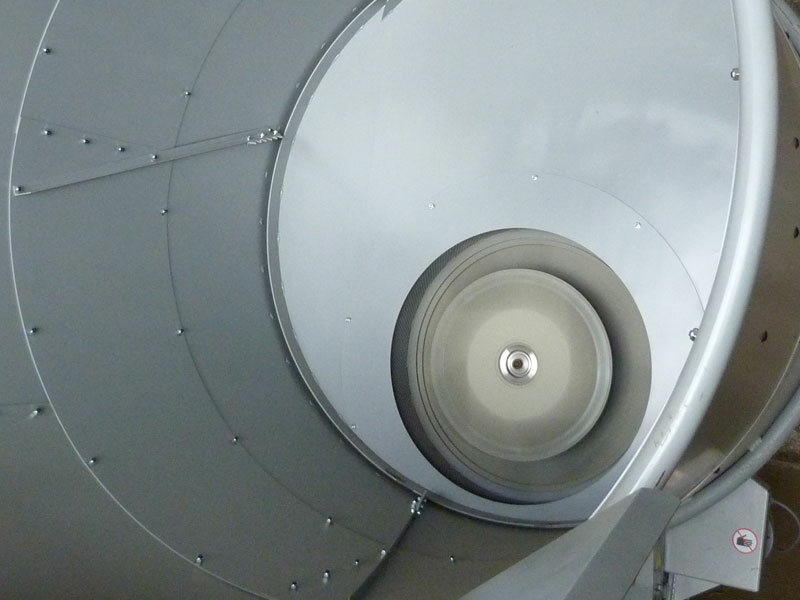 With only one machine big-bales can be chopped into a fine granulate which is suitable to feed an automatic heating system or a briquetting press. The granulate is also often used as bedding or adding to animal feed. The wheel loader puts the straw bales on the scraper floor. The standard machine has a loading-capacity of three bales. Via the scraper floor the bales will be fed up to the rotating drum (D = 1800 mm). 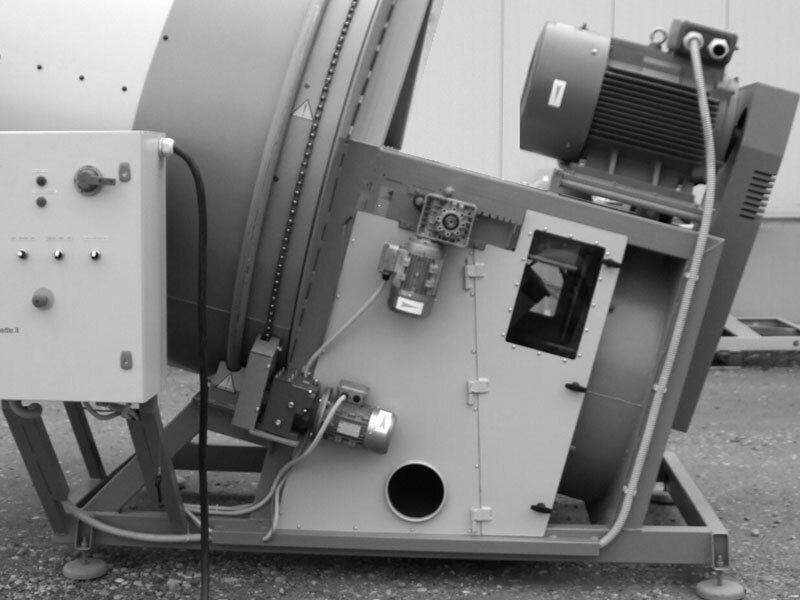 The cutting unit which is placed at the back wall of the loaddependant (via Siemens PLC) drum collects the straw bale and chops it very effective. The cutter provides a proper chopping action even at high throughput. The knives feature a low wear and can rotate several times before they have to be replaced. The throughput of the chopping machine are 2-6 bales (500-2100 kg.) per hour.The exact performance depends on the installed screen and the quality of the raw material. The bigger the installed screen the higher will be the output. The Screen size can be selected from 8 to 45 mm. 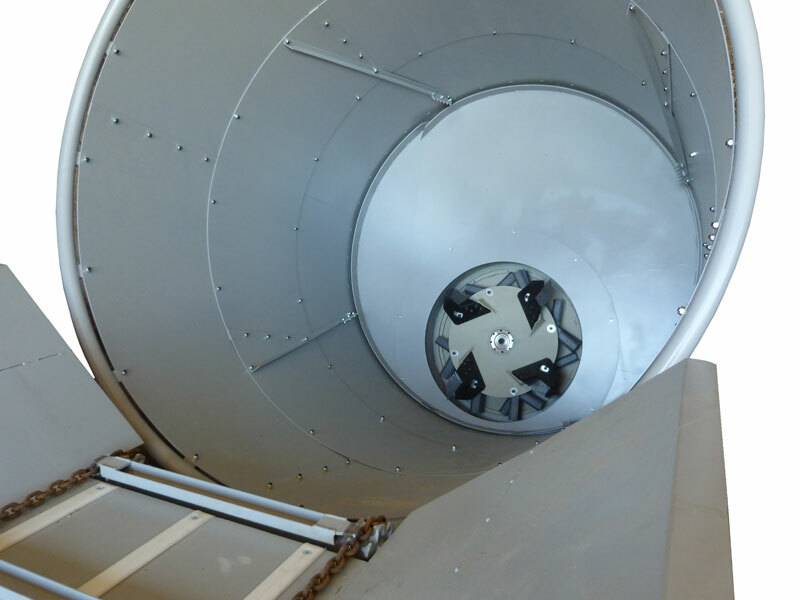 The machine is equipped with a V-belt drive and an extraction station to guarantee a smooth running in continuous operation. Stones or other foreign bodies can be separated. The transport of the chopped straw is done via the integrated fan which takes the material up to 20 meters (pipeline diameter 200 mm). Following points have to be considered in processing biomass. Straw and hay must be dry when processed. Wet straw or hay are not suitable for bedding or briquetting and cause damage on the chopping machines. Twine and netting must be removed before any further processing is made. Silage bales are not supposed to be used.